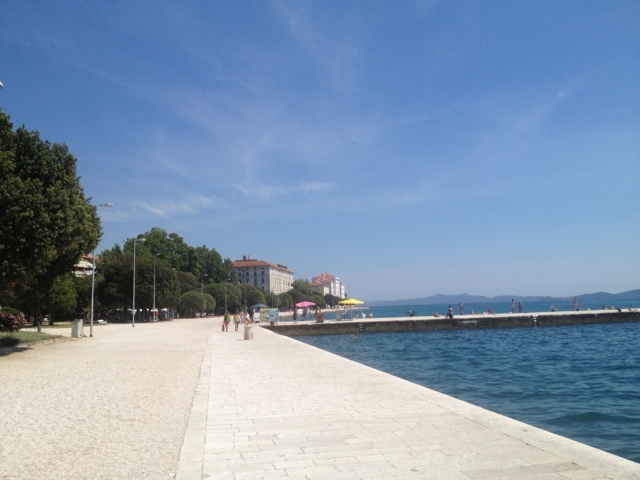 Traveled to Zadar by bus to join a ship to italy. Only problem was there was no room left on the ship which was a little strange as you could not book online so not sure how all the cabins sold. Any way had to ditch Italy for now as all other options were way to pricy. 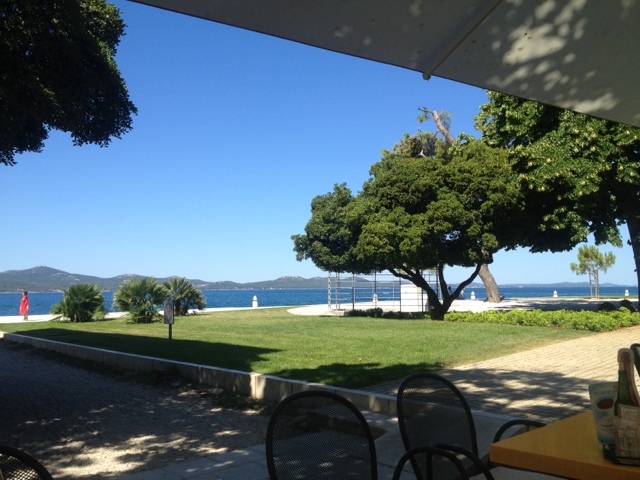 Booked a cheap flight to London and book a room in Zadar for two nights. 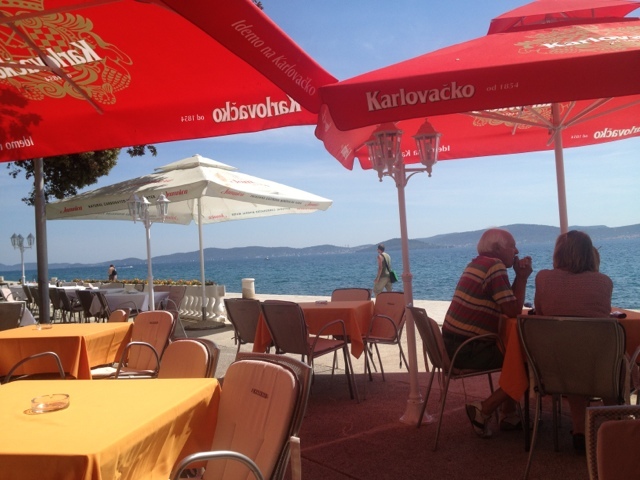 This was lucky as Zadar is really great it's not too touristy and has an interesting old town area with a cool sea side promenade that you can swim off. 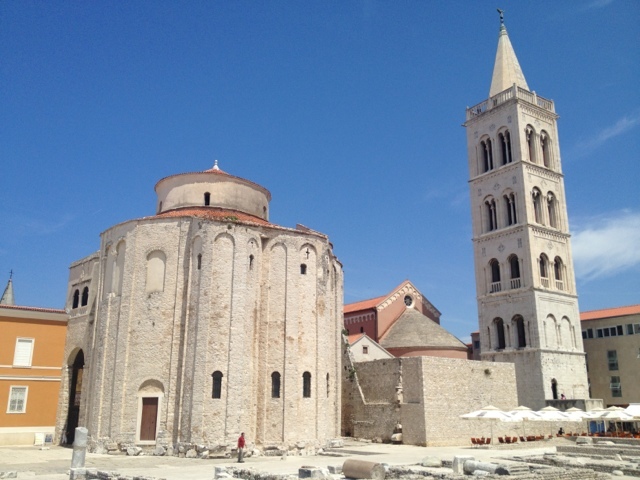 Apparently Zadar was destroyed in ww2 and when rebuilt lost a bit of its charm. 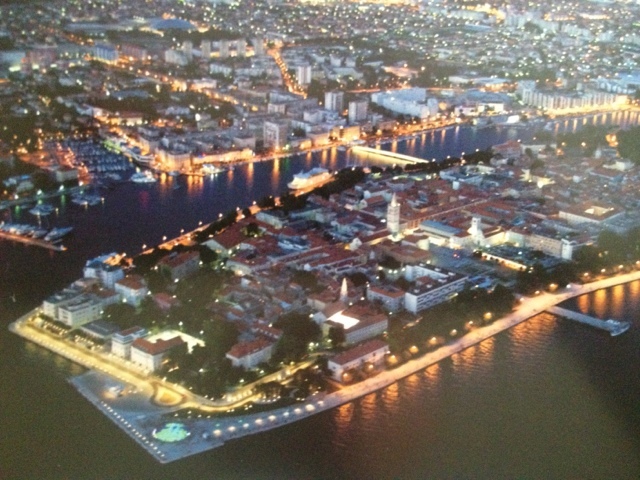 To try and address this the foreshore has had quite a bit of investment to brighten the otherwise concrete walkway. 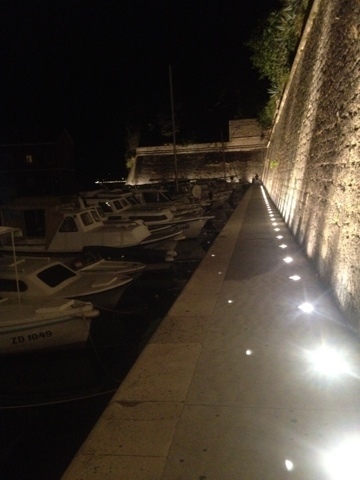 The best thing is a 35 pipe sea organ built into the stone promenade. The waves cause these 35 Organ pipes to pay a haunting music all wave powered and all you can see are little sound holes in the stone pavement. I sat watching the sunset listening to this for about an hour.